Sony Xperia Z1 Review: The best phone Under Rs.25000? Are you planning to buy a new phone anytime soon but in a quandary about which one to pick? That is a pretty common problem most of us are facing nowadays thanks to the recent boom of a number of options in the smartphone market. Since last few years, we have seen a number of manufacturers populating the market with some solid offerings. But wait, Don’t get freaked out right now. We’ve got your back. Below we have analyzed and compared the latest Sony Xperia Z1 to find out if it is the best phone below 25000. 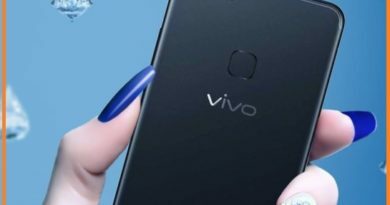 And at the end if you find this product to be the best in the range, don’t forget to use shopclues offers to get amazing discounts on this phone. Most of us, when thinking about a Sony Phone, consider them to be overpriced. But most of the time we forget to account what quality of hardware Sony packs under the hood for this additional amount. 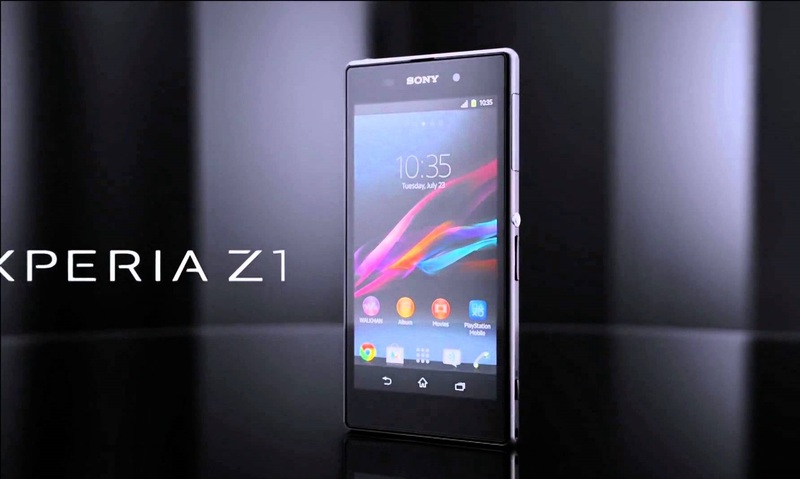 There are many things about the Sony Xperia Z1 that you should be excited about. The usual compact design, a gorgeous display and strong computing power are few of the many focal points of this device. Sony has always set an example for other manufacturers with every television display it has ever manufactured. If you have ever used a Bravia, you can feel what am talking about. 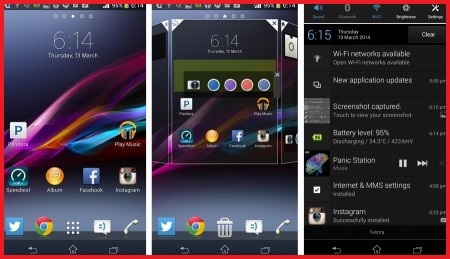 Sony was trying their best to bring the experience to their smartphones as well but it was more of a miss than a hit. In the Xperia Z series, Sony has introduced its X-reality picture engine and its famous triluminos display in its smartphones and the result is overwhelming. Thanks to this patented technology, you can experience almost as many colours on your screen as we see by our eyes. The colours are super vivid and this display is even capable of expressing slight variations of a single colour. In technical terms, the Xperia Z1 features a 1980X1080 full HD display with a diagonal length of 5 inches. The display has a 16:9 aspect ratio and a pixel density of about 441 ppi. Medias played in device look extremely crisp but the screen looks gloomy if you move your eyes in a slightly steeper viewing angle. The amount of bezel in the device is pretty strange given this does not feature any physical buttons on the front. These bezels do not complement the brilliant display at all and feel extremely annoying as most of the phones have extremely thin bezel nowadays. Another segment where only a few smartphone manufacturers can compete with Sony is smartphone camera. The use of DSLR class Exmos R sensors and Sony lenses made them stand out from the rest. The front camera of the Xperia Z1 is a masterclass. The 20.7-megapixel shooter features a Sony G lens and uses a custom-made version of the famed Exmor R sensor for image processing. This sensor is larger than most smartphone cameras and able to capture most of the colours accurately. The camera has an aperture of f2.4 which is not exactly stunning and features an autofocus system. The camera is a wide-angle one and can offer up to 8X optical zoom. The pictures taken using the lens in daylight is one of the best smartphone images I have ever seen. Pictures are sharp, colourful and extremely detailed. Colours are almost accurate but you can experience better quality in recent phones such as the Xperia Z3. Some of the photos tend to add a bit of saturation but this rarely affects your clicks adversely. In night lights though, the camera struggles a lot. Thanks to the aggressive noise reduction, the images lose detail in the dark as the phone tries to keep the noise minimum. The camera uses only 8 megapixels in auto mode which is set by default for those who does not want to cope with advanced camera settings. You can choose the manual mode to use the 20 megapixels in a 4:3 aspect ratio. There are also choices of setting up the ISO and white balance. The camera app is pretty simple and very much intuitive, making it extremely easy to use. 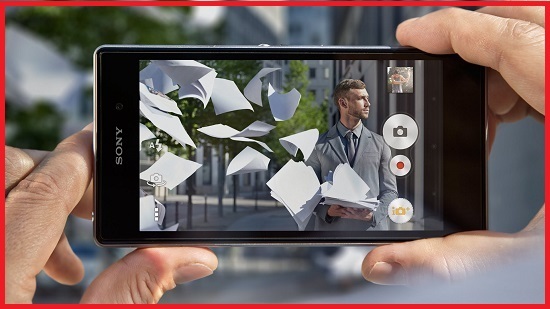 1080p full HD videos can be shot using the front camera. The videos shot at 30fps looks great but this is not at par with the latest phones in this range such as the Moto X4 which can shoot videos at twice the resolution and similar frames per second. The front camera is nothing compared to its competitors in the market but back in the days 4 years ago when it was launched, 2MP was an industry standard at this price tag. Anyway, the front shooter can record videos at 1080p and there should not be any problem using this for video calling. Personally, I am not a big fan of Sony’s trademark rectangular design with flat sides and the Xperia Z1 also has a very similar design. Almost the whole body is covered by glass which looks cool but also acts as a fingerprint magnet. Build quality is excellent and the whole chassis is extremely sturdy. The power button and the volume controls are located on the right-hand side of the device but they have placed quite awkwardly in the middle. This can be really annoying and there is a huge chance that you will unknowingly press the power button time to time. Also, the phone is somewhat hard to use in one hand and you may need to adjust your hand from time to time while using the phone in one hand. Though quite similar in design with the previous Sony phones, there are few tweaks here and there to make the phone look premium and the efforts turn out to be pretty successful. The phone weighs 146 gram and thus using it for an extended period is not much of an issue. The phone comes with an IP57 certification ( up to 1 meter for 30 minutes ) which is certainly not the best dust and water protection out there in this range but this is still enough for those accidental slips. 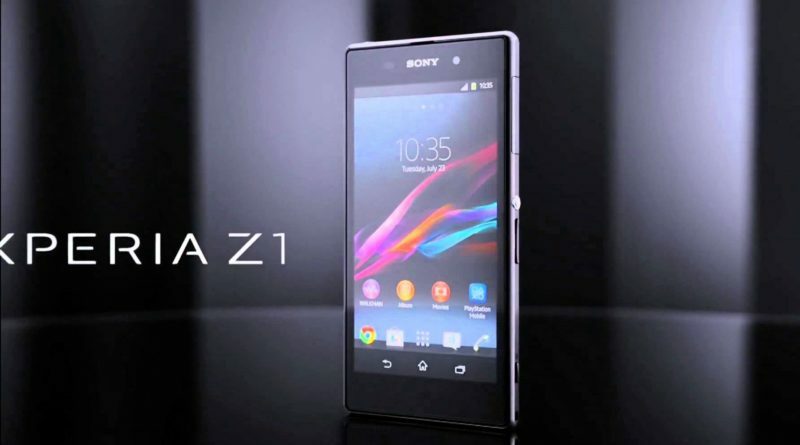 The Xperia Z1 is four years old now and you can not expect it to run the latest Android version. But the Android 4.2.2 version installed in it can be upgraded to Android Lollipop, thus enabling you to enjoy most of the latest apps in the Google Play Store. Sony’s custom layer over the stock Android is simplistic and extremely intuitive. There are some added features here and there which may come handy from time to time. The original Sony apps such as the “Walkman” is pre-installed on the phone. There are also a few bloatware installed on this device which can be annoying to some users. The phone is able to pair with your PS3 Dual Shock 3 controllers and can give you a gaming experience rare in smartphones. The touchscreen of Xperia Z1 is smooth and extremely responsive. We did not find any lag or stutter using this device. The fingerprint sensor is a miss though on this device but 4 years ago, none of the phones had a fingerprint sensor. Overall, there is are complains about the responsiveness of the Xperia Z1 and using it feels like a breeze. 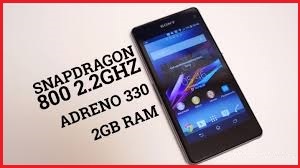 The Snapdragon S4 Pro APQ8064 chip that powers the Xperia Z1 is not the best in the market but surely gives one of the fastest clock rates out there. Also, the Adreno 320 GPU that comes with it also capable of some serious graphics processing. Combine this two and you can expect some amazing lag free high-end gaming performance. The RAM is though, pretty low compared to its counterparts in the range. The 2 Gigabytes of RAM is not ideal for high-end multitasking but is enough for your day to day casual use. 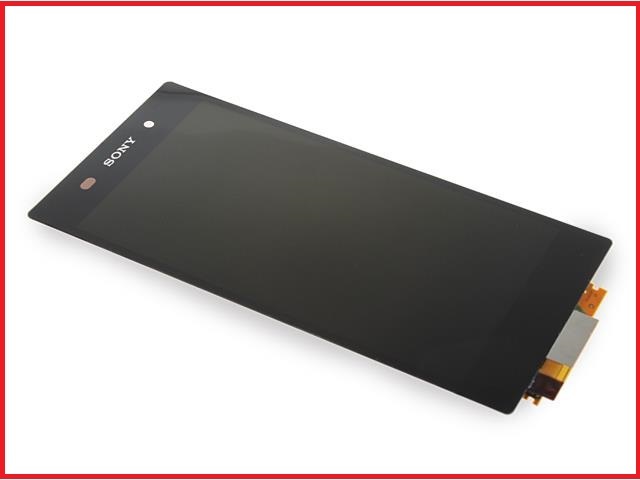 The Xperia Z1 packs a non-removable battery which can store up to 3000 mAh charge. The battery life is good and should give a casual user a day or a half between charges. For an avid user though the battery is not enough to last all day and it is advisable to keep your charger handy. The phone comes with a 16 GB internal storage which is not much given the current standards. However, you can extend the memory up to 256 GB using a Micro SD card. The Xperia Z1 is priced at Rs. 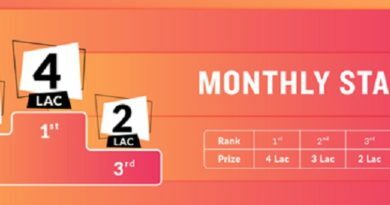 23,000 in Flipkart while Amazon values it at Rs. 19,500. Check out what we loved the most about the Xperia Z1. Amazing Display. Feels like a mini-Bravia. Great camera performance in properly lit environments. The design looks premium and classy. The device is built extremely well and has a robust water and dust resistance. 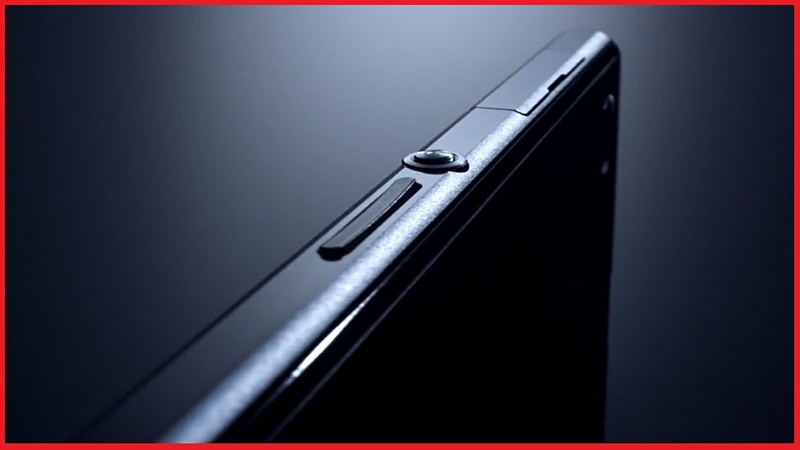 Here are the few things we did not like about the Xperia Z1. Not the best camera performance under low light conditions. The older version of Android OS. Not the best chipset in this range. The RAM is very low to support top-notch performance. Most of the expert critic reviews were written about 4 years ago in line with the launch of the phone. So, they did not have a chance to compare them to with today’s technology. Still, the compliments it received for decent battery performance and display and the criticisms it received for being too pricey is still relevant today. 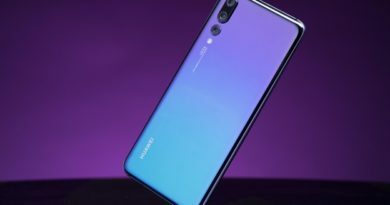 Cnet termed it as “Powerful but pricey as it has got very satisfying features but seems like have people have to pay a lot ” while TechRadar said it needed a price drop to be relevant. Follow these simple steps to get your hands on the Xperia Z.
Log in to Flipkart and Amazon. Or click on the given link for discounted price on Amazon. Search for the Sony Xperia Z. Select your favourite model and proceed. Click buy now and enter the delivery address. Pay using the various online Payment options available or choose cash on delivery. Upon realization of your payment, you’ll receive an email and an SMS confirming your order. The Sony Xperia Z1 has been on the market for four years now and very few phones have managed to hang in there for this long and from the above article, you have surely got an idea why. The flaws of the Xperia Z1 and its ageing hardware means that is surely not the best device to buy under 25k but go for it if you are looking for a long lasting solid performer that will surely complement your investment. 9stacks – Best Way to Play Poker!